For many people, their dream home is one where the rooms have high ceilings, which creates a sense of lightness and airiness. Unfortunately, many Scottsdale homes still have ceilings below 10 feet—this is particularly true for apartments. But don’t fret. With the right lighting, you can light a room with a low ceiling in such a way that creates the illusion of space and height. 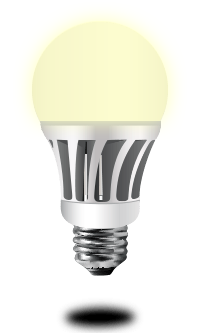 Below are a few lighting options to consider in this scenario. 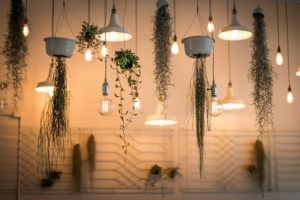 Hanging lights may seem like the last thing you want for rooms with low ceilings, but you’ll be surprised by the variety of looks you can get with them. The trick to hanging a chandelier or pendant light in a low-ceiling room is to place it in a section where people don’t walk under. For bedrooms, you can hang two pendant lights, one on each side of the bed, above the bedside tables. A chandelier can go above the bed. For the kitchen, hang your lights above the center of the table, kitchen island, or bar area. It’s also important to choose compact hanging lights instead of dangling foyer-style fixtures—less is more when it comes to using chandeliers in rooms with low ceilings. You can also hang several smaller pendants to give a room a more put-together look. Although flushmount and semi-flushmount lights are often considered boring, their compact profile makes them perfect for low-ceiling rooms. The right flushmount fixture can be the wow factor you need in a low-ceiling room, serving as both a decorative piece and sleek light source. Flushmounts and semi-flushmounts are great functional pieces that work in any space. Their simple and clean lines open several possibilities for halls, closets, or spare rooms. Most people often use recessed lights in homes with low ceilings, only to find that these fixtures don’t really do anything aside from casting a downward beam of light. If aesthetics is your priority, choose recessed lights with colored glass, faux plasterwork, and crystals, all of which will give your room a bit of drama and flair without sacrificing head room. Modern recessed lights like LEDs come in ultra-compact profiles, allowing you to install several fixtures in a room to isolate areas under one group of lights—perfect for mood lighting. Ceiling fans with lights are about as old school as you can get, but in a room with a low ceiling, their dual functionality allows you to keep your ceilings free of clutter. While these fixtures are perfect for living rooms and bedrooms, you can also use them in the porch or dining room. The key to using ceiling fans effectively is to get one that’s the ideal size for the room. Your best choices are flushmount fans or hugger fans which are measured with the overall installed height of the entire mount. For safety, shoot for at least 7 feet of clearance between the floor and the fan’s blades. These are just a few of the lighting options you can try when lighting rooms in your home with low ceilings. When in doubt, talk to an interior designer to get the best lighting setup for your needs.